This has been the year of ginger, readers of early episodes of The 12 Beers of Christmas may recall. But Ewephoria is the gingery-est of them all. Ginger disdainers should avert their taste buds. Ginger lovers can form the line over there, over there being only in Wisconsin at the moment, with occasional sightings in Chicago. I was happy to run into the 3 Sheeps Baaad Boy Black Wheat at the 2012 Kohler Festival of Beer, not too terribly long after the Sheboygan brewery had opened for business. The brewery’s Enkel Biter went on to tie for first that year as the festival’s fan favorite, so it was off to a promising start. 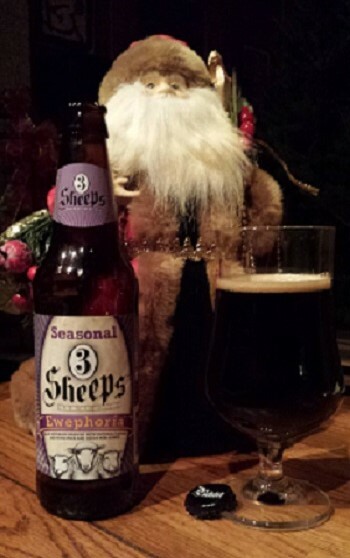 Founder Grant Pauly clearly has a sense of humor and experimentation; “3 Sheeps” is Wisconsin farm humor, a play on the phrase “three sheets to the wind.” And Pauly got some ink earlier this year with the third release in his Nimble Lips, Nimble Tongue series, an IPA with added squid ink. With ten other brewing industry men from Wisconsin Pauly also took part in a charitable effort to raise funds to benefit men’s prostate cancer research. 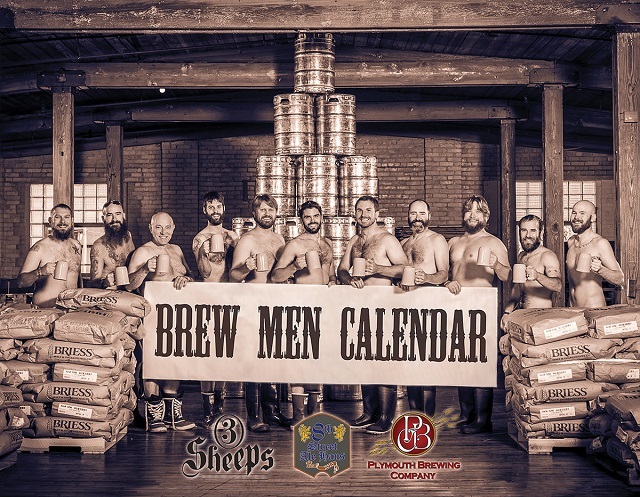 The men did this by taking off their pants and putting it all out there (so to speak) on the 2015 Brew Men Calendar: “11 men, 12 months, 0 pants.” It’s still available for $20 and currently chalking up more than $10,000 in sales, all going to the Movember Foundation. Good works are a good thing to remember at this time of year. We have our grandkids with us at the moment, and my wife and I are sensitive to how highly developed their sense of acquisitiveness might be becoming. 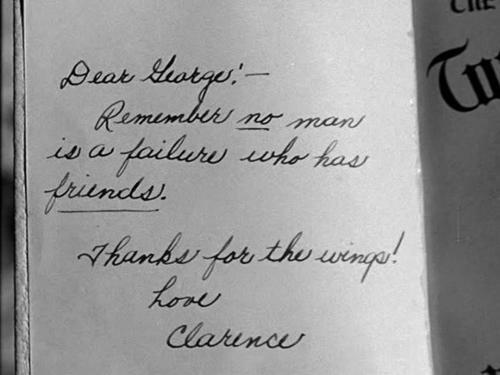 So with a chance to watch a movie tonight, it was a pleasure when “It’s a Wonderful Life” was suggested, one they hadn’t seen. It was a bit over the younger one’s head, but the elder two seemed to like it, once over the shock of seeing a black and white film. It’s one of my favorites, but I hadn’t seen it from the beginning in awhile. That’s crucial to fully understanding and appreciating everything that eventually happens. It is, for a movie with such a rollicking happy ending—okay, euphoric—a very dark film for great stretches, as George Bailey (Jimmy Stewart) struggles with accepting his lot in life. Naturally, as he comes to discover through Clarence, his guardian angel, his life has been rich indeed, simply through acting decently toward his fellow man. So a tip of the cap to Pauly and the Brew Men for their naked effort in shining a little light. And to Pauly for the Ewephoria, though the beer sheds no light at all in its black, opaque beauty. At base the beer is a subtly roasty and chocolatey stout, thanks to the addition of some cocoa nibs. But the spicing is first and foremost in the nose and flavor here—there’s nothing subtle about it. I find it enriching, but I say that advisedly as a ginger lover. As far as I can tell, no one has yet brewed a flower-infused beer called Zuzu’s Petals. When someone inevitably does, we can only hope it will be a Christmas beer.